There are a lot of things a partner program leader can do to accelerate revenues, but choosing exactly what to do based on an honest assessment of your program’s life stage is a great place to start. All partner and channel organizations are at different stages in their development and maturity, and each stage indicates a different set of improvement priorities and actions. Early partner program life-stages focus on partner recruitment and initial activation. Later life stages tend to center on partner commitment development, increasing percentage of partner-led deals, and partner pipeline development. Partner program development needs to be acutely aware of – and honest about – exactly where the program’s maturity is today and align growth initiatives with its current life stage. 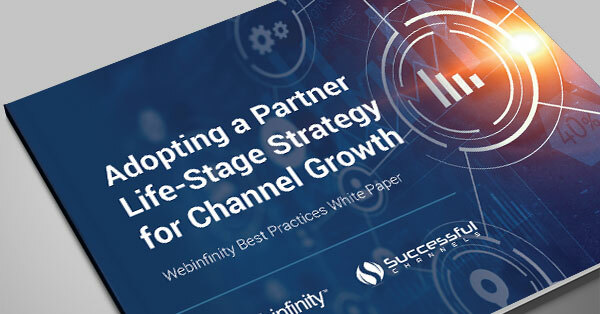 Achieving sustainable growth with your partner program is only possible if you match your strategies, resources, and tools with your partner or channel organizations life-stage. This alignment will guide your strategy to select the right systems and tools to achieve your partner program life-stage goals. I recently had the pleasure of collaborating with Channel Luminary Gary Morris of Successful Channels to create a detailed whitepaper on this subject. This white paper will teach you how to assess where your program is now in its development and what the crucial next steps are to increase revenue and move to the next stages and beyond.